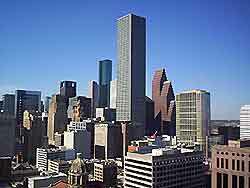 Houston is the biggest city in Texas, and the fourth most populated city in the US. 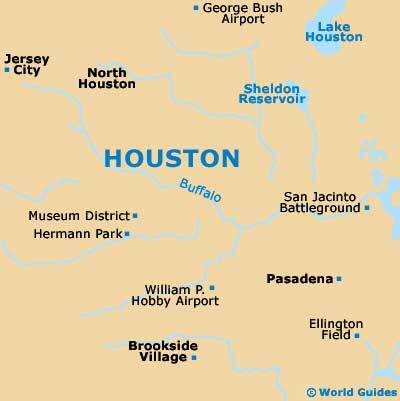 Second only to New York City with regards to Fortune 500 company headquarters, Houston is one of the major economic, energy, transportation, and aeronautic centres in the world. With a warm climate and particularly hot and humid summer months, Houston sees visitors throughout the year, many of whom travel south to Galveston and the Gulf of Mexico for vacations. Geographically large, the city has many distinct areas, from the innumerable clubs and bars on Richmond Strip and the alternative area of the Montrose, to the newly renovated downtown district. Due to the large area, finding an apartment or reasonably priced house is not a difficult undertaking, although the many roads and highways make for perpetual traffic problems, particularly on I-45 and I-610. The Katy Freeway (I-10) has seen increased lane construction of late, making it much less congested. Although the economic situation in the US has made for low property sales in recent years, recent months have seen an increase in demand for housing in Houston, particularly in the downtown area. Condos are a popular choice among expats who plan on an extended stay. Serviced apartments in Houston are available all over the city, and the majority of locations have flexible leasing arrangements to satisfy any length of stay. The usual contract is for one year, but shorter leases can be accommodated, usually with an increased rate. Prior to move-in, you will be required to pay the equivalent of three months' rent. This includes the first and last month's rent, as well as a security deposit. The area in which you decide to rent determines the rate much more so than the particular time of year, and areas such as River Oaks, the Medical Center, the Galleria and some parts of downtown see higher prices relative to the locations just outside the city, such as Katy, Sugarland, and Pasadena. Buying an apartment, condo, or house in Houston is much more affordable than in other major US cities such as New York, Chicago, or Los Angeles. Furthermore, the areas are relatively safe and feel more like a suburb than a major metropolis, although, as with any city, there are neighborhoods to avoid. The downtown area, particularly Midtown, is one of the best spots to purchase a condo, with reasonable prices because of a rejuvenated downtown. The Montrose area, just outside of the city, is also an opportune spot, although traveling further to the Bunker Hill area around Chimney Rock sees a marked increase in prices. Non-nationals may find it harder than locals to borrow here for the purchase of property and should expect to pay a larger down payment on any purchase, yet there are no restrictions forbidding foreigners from buying Houston property. 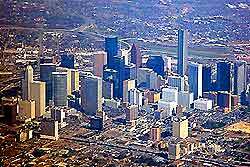 Real estate agents abound in Houston, and there are many agencies with well-rounded knowledge of the vicinity. Dealing in properties all across the city, this company has served clients affordably and with personalised service for some two decades. Full services residential leasing in and around the greater Houston area. A national agency that will help you find the best living arrangements to suit your needs.